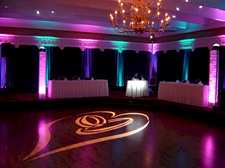 Our white LED sparkling dance floors are perfect to hire for wedding receptions and corporate events. They are by far our most in demand product due to their unique effect and stunning impact on any room. Each dancefloor panel contains 24 LEDs, these twinkle throughout your event to provide you with a stunning focal point for the evening's entertainment. The dance floor can be controlled by a dedicated controller which manages the speeds at which the LED's twinkle, as well as the brightness. There are 6 speeds as well as all on and all off! Please ask about the controller when enquiring about hiring the dance floor. 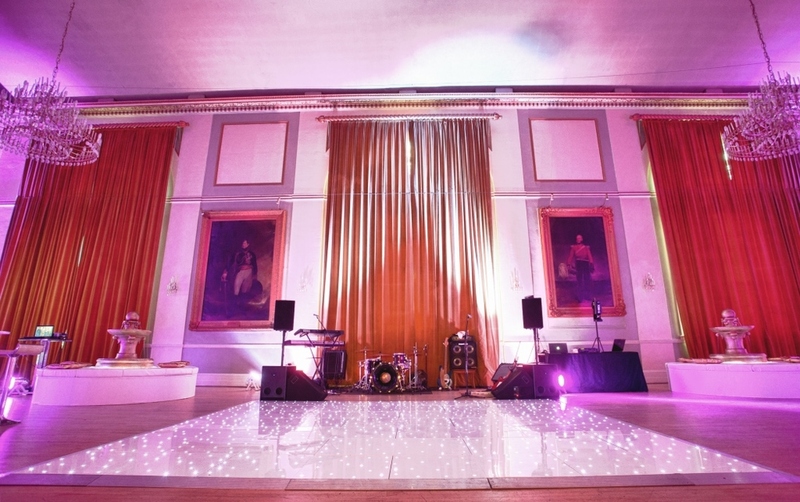 We take great pride in our white starlit LED dance floors, they are cleaned after every use to ensure that they keep their sparkle and look spectacular when laid at your venue. 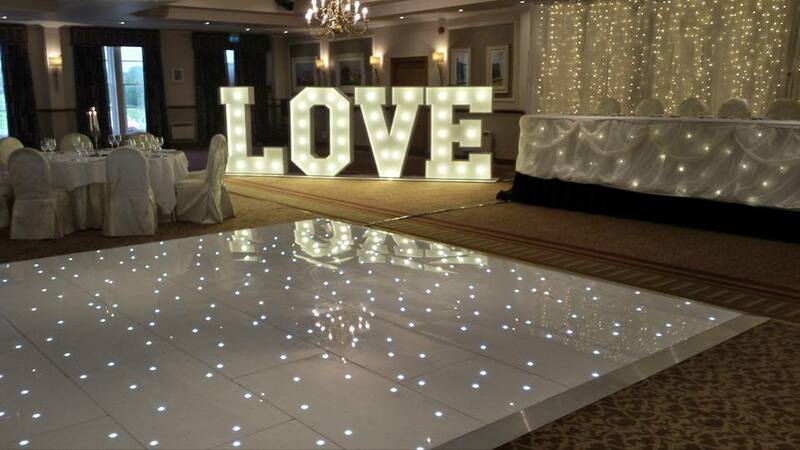 The white LED sparkling dance floors are load bearing, water resistant and made from non-slip acrylic plastic. They have a low profile so your guests will have no difficulty getting on and off it. 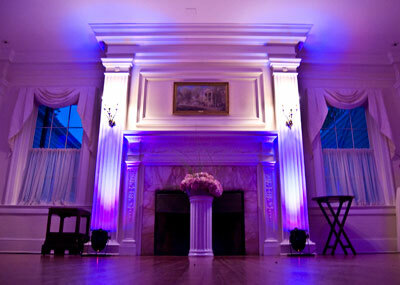 The special locking system ensures that the panels cannot come loose during your event. 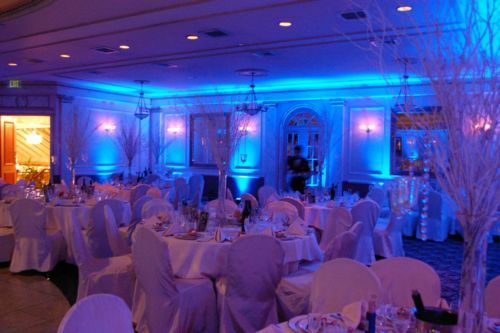 LED room uplight hire - Transform any room or venue with our powerful LED colour uplighters available from £19.99 each. Our uplighters can be colour co-ordinated to match your venue theme and provide a spectacular backdrop to leave your guests amazed.